Safety is worth a trip around the world. That’s the thinking of Australia’s TrackSAFE Foundation, which sent a delegation to consult with members of the American Association of Railroads (AAR) and Fort Worth-based CTC Inc.
CTC, Inc. specializes in railroad safety consulting. In 2016 the AAR directed TrackSAFE to CTC for guidance on U.S. best practices in grade crossing safety, citing it as a leader in this category. Members of the TrackSAFE Foundation with Mike Martino, AAR, and Rick Campbell, Mike Cunningham and Nicole L. Jackson of CTC, Inc.
TrackSAFE delegation’s tour. They were also scheduled to visit Washington, D.C., New York City and London. Technology the delegation saw demonstrated at the meeting included a traffic signal camera that will allow a signal light to change in a dangerous situation; a stopped-on-tracks device that warns drivers when they are on the tracks and a train is coming; a warning system that advises drivers and pedestrians that even though one train has passed, another is close behind, and a wayside horn that projects the sound of the train horn down the roadway, toward drivers, are rather than down the tracks as the train approaches. The visitors also saw field demonstrations of the wayside horn and four-quadrant gates, which close off the entrance and exit to railway crossings. “We liked what we saw,” he said. Campbell said the United States started an aggressive safety system in 1981 that reduced accidents drastically for years. However, he said, in the past decade accidents have leveled off at about 2,000 a year. He said the main cause of accidents is related to driver distractions, such as cell phones, radios and even children. “All of those distractions can get a driver stopped right on the tracks,” he said. “What do you do? Do you try to move the car? Abandon it? What if you have children or others you have to help get out? 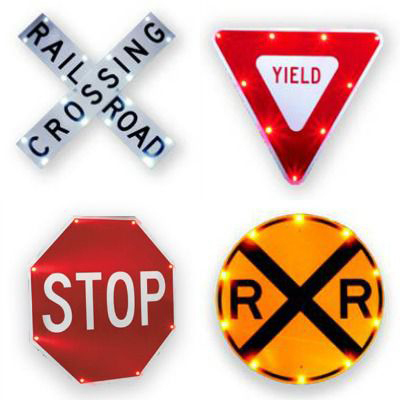 Among the most common ways to get caught on railroad tracks is to be in a line of traffic at a nearby traffic signal. A driver already across the tracks but stopped at the light often doesn’t realize the car behind him is on the tracks. The traffic signal camera helps solve this problem. The four-quadrant gate prevents drivers from going around the gates at railroad crossings to try to beat the train. Campbell said this is a common problem. Campbell also noted that it takes a train a mile or more to come to a stop once brakes are applied. Frauenfelder said there has been a rise of near misses in her country. Read the full story from Fort Worth Business Press. Fort Worth, Texas (June 16, 2016) – CTC, Inc. (CTC), a provider of signaling, communications and train control systems, products and services to the rail industry, welcomed California native Chadwick E. Baker as director, systems integration to the firm’s West Coast operations expansion in early 2016. Baker brings more than 22 years of commuter and light rail signal systems maintenance and construction experience to CTC. He is especially skilled at CTC/CAD office systems, SONET, SCADA, VHLC, XP4, MicroLok II and VPI hardware functions, as well as PTC integration. Previous contracts include North County Transit District (NCTD) Maintenance of Signals and Communications and CTC/CAD Dispatching and Systems Implementation, San Diego Association of Governments (SANDAG) San Onofre to Pulgas Double track, Tecolote and Washington Crossovers and Santa Margarita River Bridge projects, and Union Pacific Railroad design services, as well as contracts with Metrolink, Port of Los Angeles, San Diego MTS, and Denton County Transportation Authority (DCTA). In his new role at CTC, Baker will focus on expanding CTC’s West Coast operations and business opportunities, as well as lend his considerable technical knowledge to the implementation of signaling and train control systems.